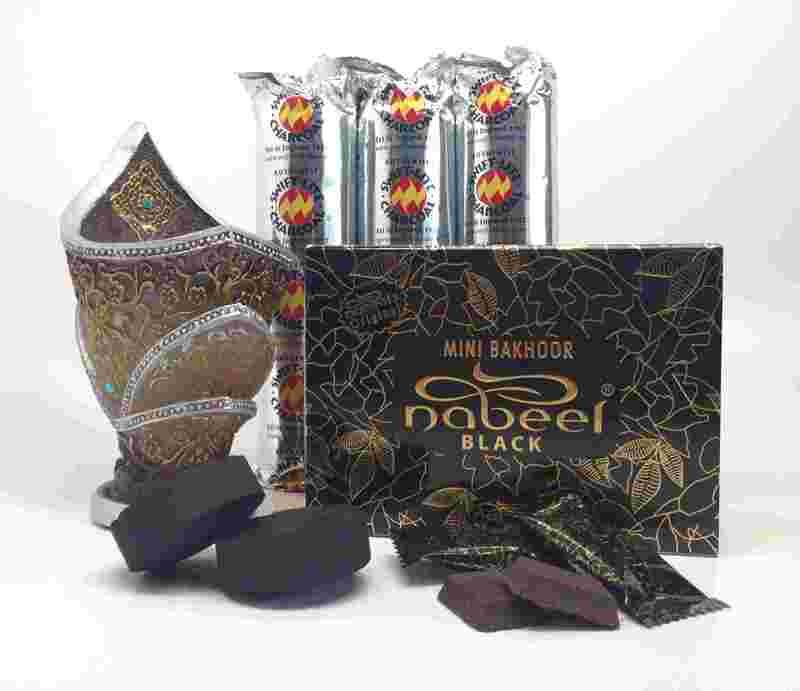 Bakhoor Gift Set by Nabeel--Makes a wonderful gift or purchase this for yourself. An excellent value. A beautiful smelling popular bakhoor, gentle to burn and slow to release Mini Bakhoor Nabeel Black (formerly Etisalbi).